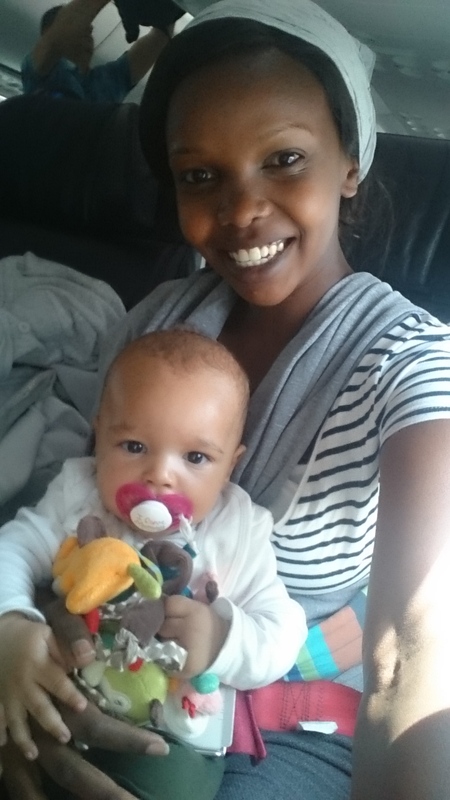 This post is long overdue… I meant to share my experience but on arrival to Germany, everything has been overwhelming, from Carl and I meeting his great grandparents to me starting language course! There is a first time for everything and everyone has experienced a first time,there is usually some kind of anxiety. For those who know me at personal level, I hate any kind of change which usually comes with anxiety. Anyway, here are some things I did and I hope they will be helpful to some mothers out there! Research on baby friendly airlines. From Kenya to German, I had not much options to choose from but I had to Google about the few flight choices I had and I settled for Turkish Airline with one stop over at Istanbul then connect to Berlin. My experience with them was great considering I was flying economy class. They provided a bassinet for my little one. This was helpful because I could place him on it whenever he fell asleep or wasn’t cranky and it was good for me because I could visit the washroom. They also offer baby food but personally didn’t accept because my son is exclusively breastfeeding. Pack days prior to your flight. Lucky I had her around. She helped me pack like 3 days prior and she is good at it so with her extra hands I could do other things like going to the salon. My boy has his favorites which keep him busy and calm. I had them in an accessible place in my hand luggage. I also had his Binky/pacifier at hand for when he is cranky and can’t feed him. There is nothing as stressing and disorganized as having two bags and a baby. Everything will be all over the place. If you are to carry your stroller, check with your airline of choice on policies with regard to that. Choose a comfortable way of carrying your baby. I personally have the baby ergo carrier and baby wrap. 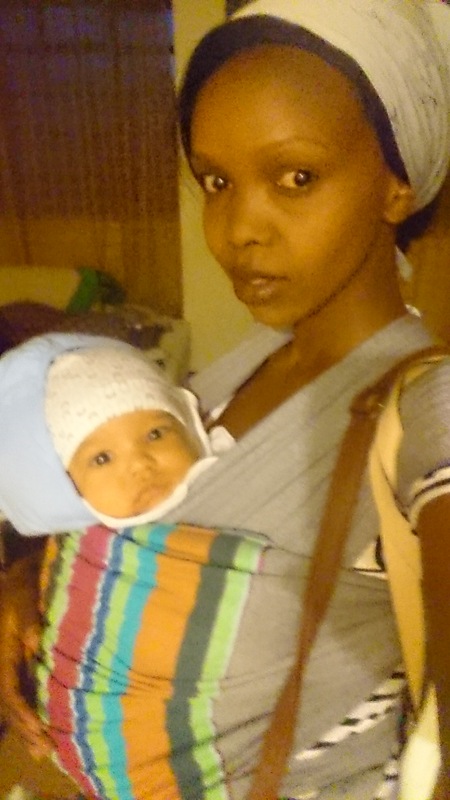 I chose the baby wrap because it is light weight and I can leave it tied around my body without it bothering my comfort. 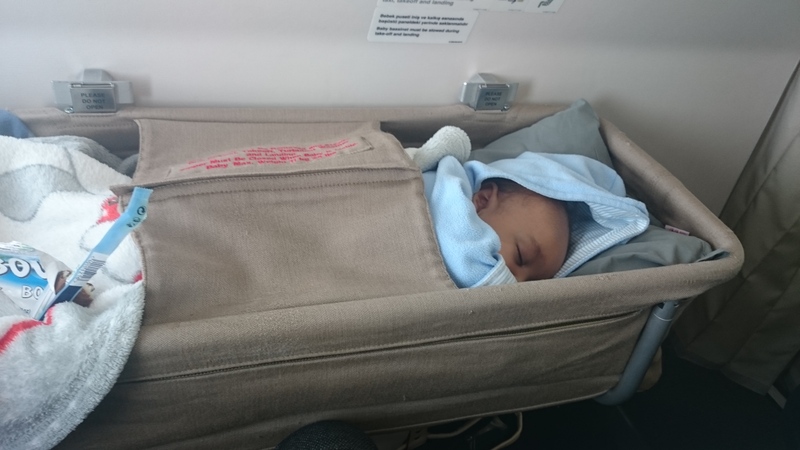 With it I could feed my baby when taxing and landing without the need of an extra baby belt. Stepping out of my apartment. I got my wrap from toto wraps in kenya. Feed your baby during taxing and landing. This will prevent the baby’s ears from popping. With my baby wrap I could easily do this. Another alternative is to have milk in a feeding bottle or any other liquid your baby loves. Being friendly has a lot of benefits…I mean if your baby is a cranky one ( mine isn’t) people will look at you meanly if you were mean to them. Also, you can get a helping hand with holding the baby when you rush to the washroom. I made friends with a Lady at the Jomo Kenyatta International airport and we sat together in the plane and she was so good to my son and I. I actually felt like I was travelling with my mother. Do not forget to carry extra in the hand luggage incase baby spits up on you. I reported 3 hours before departure. This helped me keep calm and I was even able to have a hot chocolate and breastfeed my son. Remember AN ANXIOUS MUM MAKES AN IRRITABLE BABY! We had a great flight and Carl never cried, contrary to my expectation. Considering I was traveling alone with him, he gave me a very easy time. Hello , what about the ears, did he swell feet? Because am planning to travel to kenya but thinking about my first experience am tensed. Any advice concerning the two things. I understand your concerns and it’s really normal for you as a mom to tense but relax, all shall go well. Am assuming your baby is still in his/her first year, this means that the baby is always in the horizontal position (more time spent laying down and less sitting). Swelling usually happens to adults sitting long hours therefore your blood accumulate in your feet. So baby will be safe. As for the ears, feed your baby during landing and taxing. This keeps the baby swallowing which helps open up the ears. I feed my boy during taxing and landing too, it helped alot. nice one dear, nephew being a gooooood boy!